Critic's Notebook: The Oscars' poor definition of 'best' means that quality films such as 'Skyfall,' 'The Dark Knight Rises,' 'The Avengers' and 'The Hunger Games' go overlooked. By Mary McNamara, Los Angeles Times Senior Culture EditorFebruary 22, 2013, 5:00 a.m. The members of the Academy of Motion Picture Arts and Sciences are always happy to acknowledge big action movies, franchise films and mega-hits — especially if there's a possibility they'll boost the ratings of the Oscars telecast and bring in the young folks. This year's producers tapped comic hipster and "Family Guy"Seth MacFarlane to host Sunday's ceremony. The super-cool cast of the "The Avengers" was asked to reassemble for the show, and James Bond will be feted for turning 50 years young. Yes, indeed, the academy clearly understands the value of really big movies, it just doesn't like to nominate them for the really big awards. Even if it means, as it did this year, leaving the 10th slot for best picture blank. The best-picture omission of the latest Bond film, "Skyfall,"creates a particularly hilarious bit of Oscar weirdness. On Sunday night, the academy will rhapsodize a character it utterly neglected in the major categories despite the near-universal opinion that "Skyfall" moved far beyond its franchise status to become a terrific movie. Not only didDaniel Craig breathe new life into an icon teetering on the archaic but Dame Judi Dench's formidable M character also died, for heaven's sake. In any other sort of film, that scene alone (are those tears, Mr. Bond?) would have triggered an immediate "nominations all around" reaction. 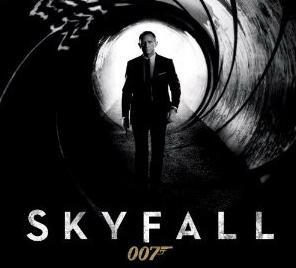 But "Skyfall" does not fit into the Oscars' strangely limited and calcified definition of excellence. Neither does "The Dark Knight Rises," "The Avengers" or "The Hunger Games,"although all are excellent movies, well-cast and acted from fine scripts made better by good direction. Alas, they were also fun, and fun no longer fits the list of qualifiers for Oscar quality after all the Usual Suspects (grim, inspirational, historical), have been named. More important, these films were also four of the top domestic-grossing films of 2012, something the academy so frowns upon during Oscar season that Steven Spielberg andAng Lee have taken to expressing bafflement at the strong box office for their respective best picture nominees "Lincoln"and "Life of Pi," as if that required an apology. Oscar nods for many reasons — to encourage new kinds of moviemaking ("Slumdog Millionaire") or welcome those much missed ("Argo"), to celebrate new voices ("Juno") or honor old ones (any Clint Eastwood movie). In the end, though, it's supposed to be about excellence, and the academy has become unforgivably unimaginative in its definition. Excellence is not even close to being synonymous with popularity, but it isn't antithetical either. Just as a popular, pretty girl can be smart, a popcorn hit can be Oscar-worthy. After "Chicago" and "The Lord of the Rings: The Return of the King" won best picture titles in 2003 and 2004, members of the academy seemed to go into limited audience lockdown. The academy's taste turned so self-consciously exquisite, the definition of "good" so alarmingly narrow, that few moviegoers had actually seen most of the nominated films. Even the academy recognized there was a problem. In 2009, the number of potential best picture nominees doubled, from five to 10. Then-President Sid Ganis proclaimed a new age of the wider net; never again, he implied, would a film like 2008's "The Dark Knight" be excluded from the hallowed roll call. When glancing at a list of nominees, or potential nominees, it might help to ask: Would I watch this movie more than once? More than twice? Would I pay a sum of my own money to possess it? Excellence sustains itself over the years. How many repeat viewings of "The Artist" will there be, really? Things have gotten so out of hand that when this paper published a report on the demographics of the academy last year, no one was surprised by the revelation that the members' median age was 62, that 94% (94!) were white and 77% male. The voting trends of the last 10 years have been so curmudgeonly old-white-guy cinephile that if "Star Wars" opened today, it probably wouldn't get a best picture nomination either. Which is odd, because frankly (cue multi-paragraph irate emails), it is, in many ways, much more difficult to make a thoughtful and resonant genre action film than it is to make a thoughtful and resonant historical biopic. Sure, Daniel Day-Lewis was great in "Lincoln," but how much effort and imagination does it take to make Abraham Lincoln seem smart and likable? Not as much as it does to play both Dr. Bruce Banner and the Incredible Hulk believably. Many performers have done a good Lincoln, but how many actors were felled by the Hulk before Mark Ruffalo nailed it in "The Avengers"? A more serious argument could be made that Jennifer Lawrence and Anne Hathaway gave better performances in more challenging roles as Katniss Everdeen in "The Hunger Games" and Catwoman in "Dark Knight Rises." Yes, they were terrific as Tiffany and Fantine in "Silver Linings Playbook" and "Les Misérables," for which they are nominated. But to create an emotionally provocative and complicated young woman in a mondo-budget, CG-enhanced whirlwind of plot, violence and geek-fan expectations is an act that borders on the miraculous. Actually, Hathaway did that in "Les Misérables" too, but with its built-in rabid fan base and theatrical back story (it had its premiere in London! ), "Les Miz" was an Oscar shoo-in the moment Hugh Jackman said, "I'm in." Never mind that everyone agreed at least one of its major roles was miscast, or that even the most positive reviews acknowledged it never quite achieved liftoff, the bar "Les Miz" had to clear to make the various Oscar lists was much lower than the ones set for films of more populist genres. In many ways, "The Dark Knight" was superior to "Les Miz," and "The Hunger Games" could certainly go toe-to-toe with the similarly themed "Beasts of the Southern Wild." And there was some early talk of nominations for these films, of Joss Whedon getting some love for making "The Avengers," a fine, funny and very literate film, out of a cast of divas and a pretty crazy comic book series. But in the end, this is the same academy that last year gave a best picture nomination to "Extremely Loud & Incredibly Close" but not the critically acclaimed "Harry Potter and the Deathly Hallows Part 2," the final film of the wizard series, which over eight unprecedented years received no big awards and only a handful of below-the-line nominations. Then again, three years ago, it did nominate "Avatar." More heartening still, that same year, the surprise sci-fi hit "District 9" made the best picture list. It didn't win, of course, but audiences everywhere were grateful just for the nomination.